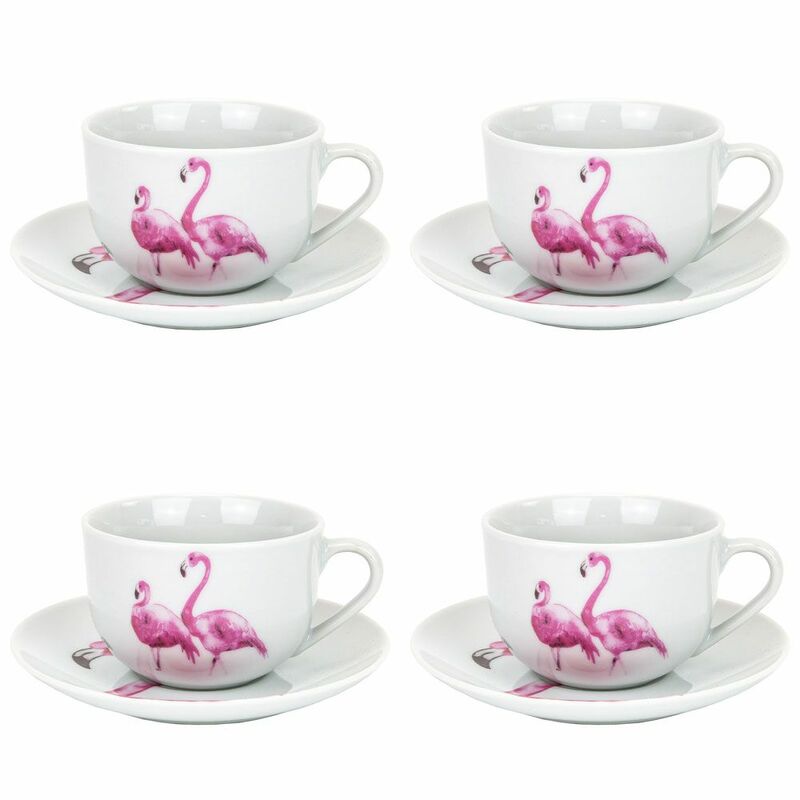 A modern and unique set of 4 cups and saucers in white gloss ceramic. 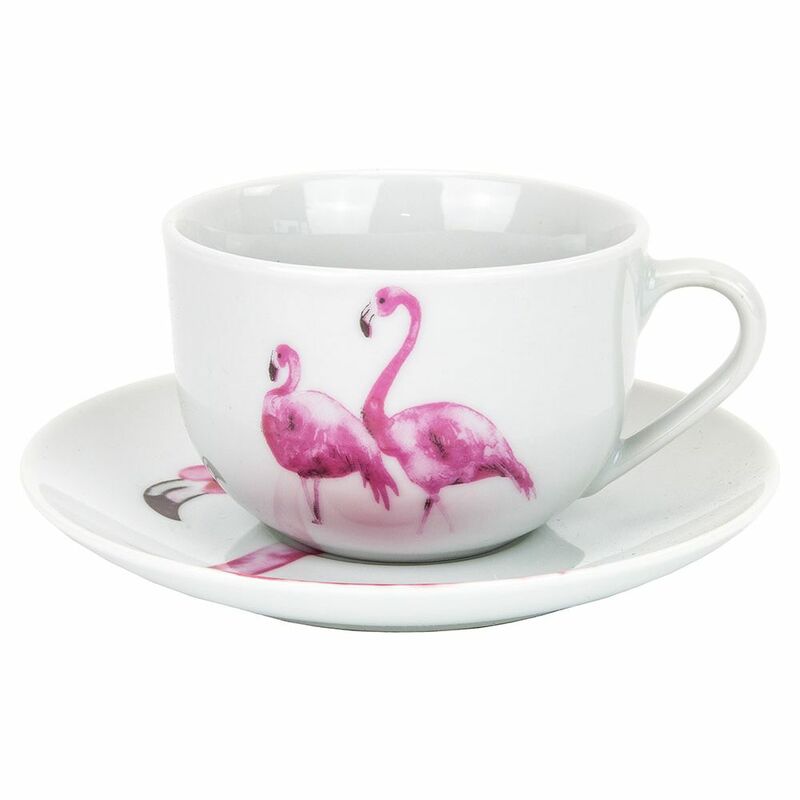 Features distinctive pink flamingo designs on the cups and saucers. 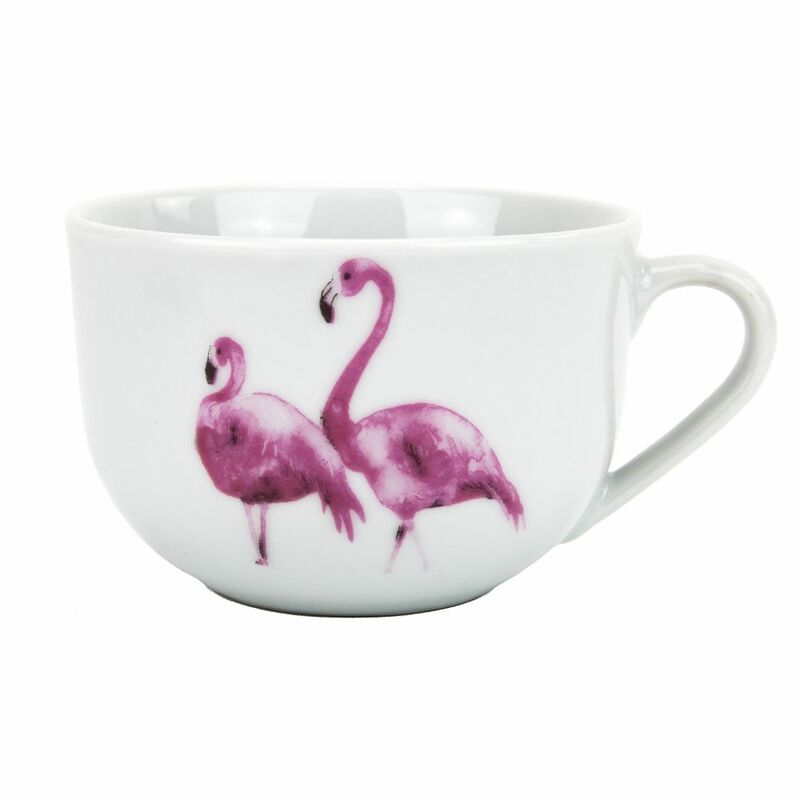 Perfect for entertaining and a simply must have for any kitchen! Cup dimensions: Height - 6cm, Width - 11cm. Depth - 9cm. 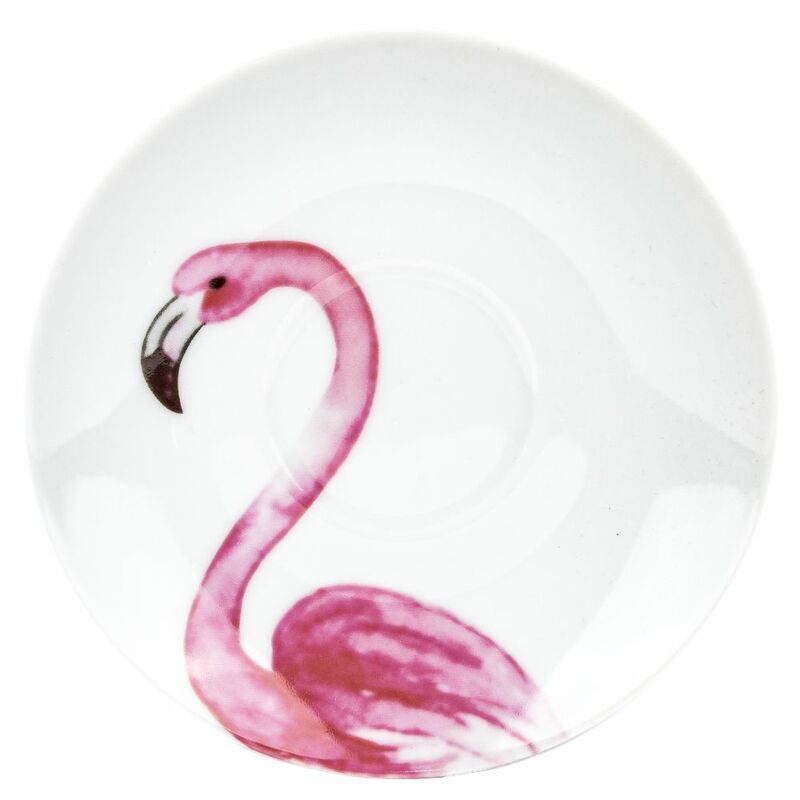 Saucer dimensions: Height - 2cm, Width - 15cm. Depth - 15cm. 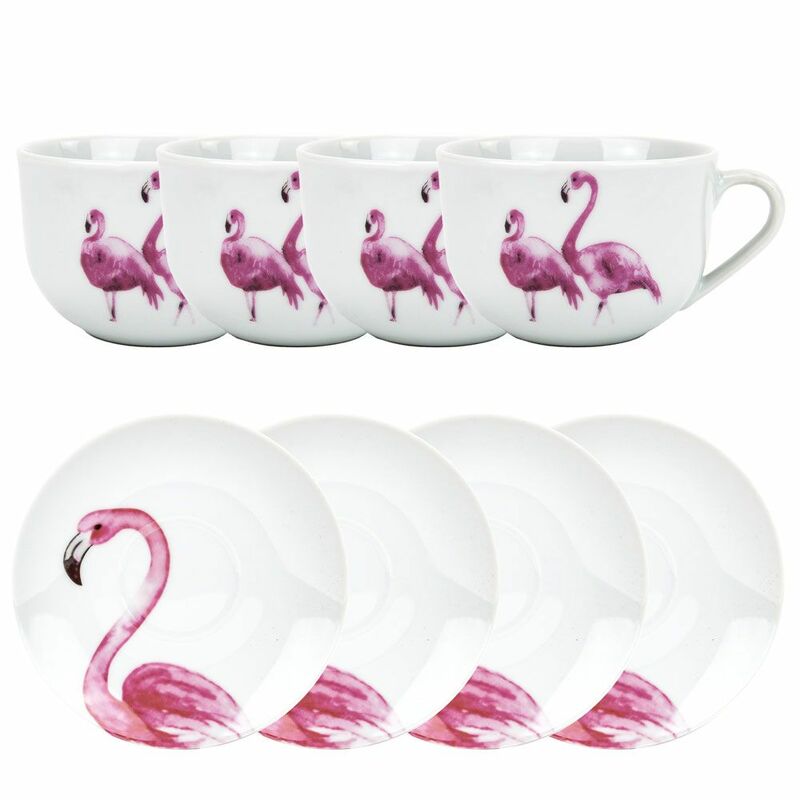 These cups and saucers are perfectly suitable for dishwasher and microwave.